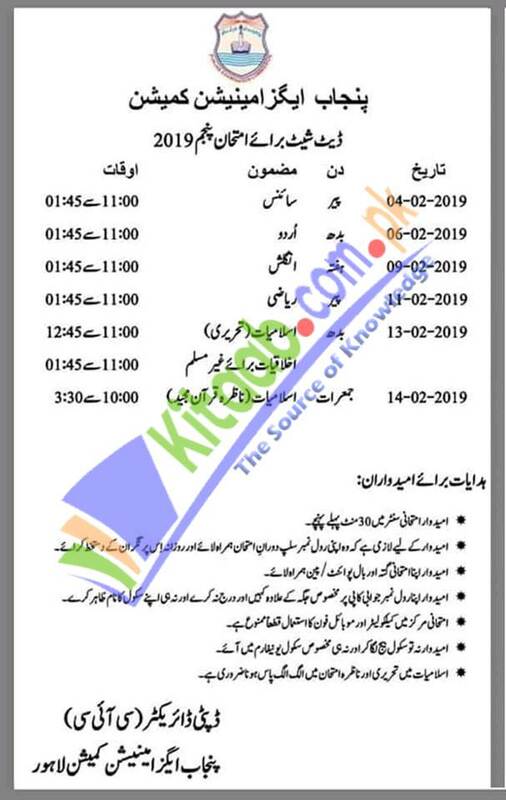 Pec 5th class date sheet 2019 may be announced in the last week of December if not than January 1st week is the rightful time for showing the 5th class date sheet online. 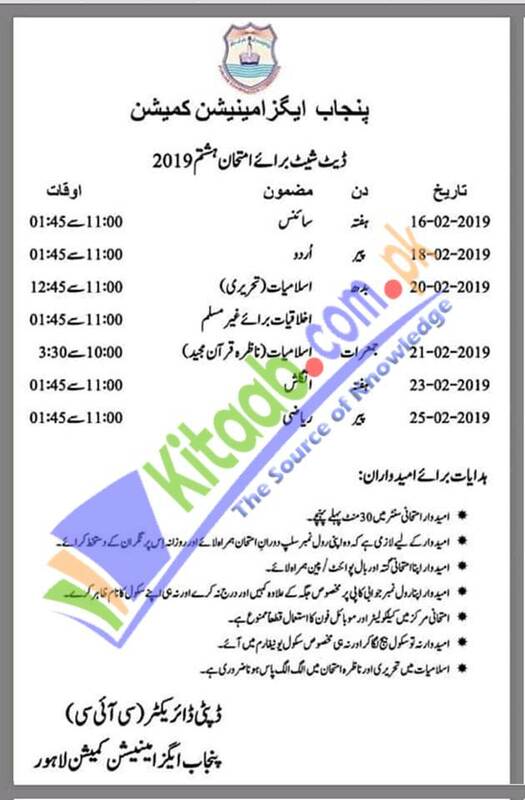 PEC has gotten the authority to hold the 5th class exams across the Punjab province and issues PEC 5th class date sheet 2019. For the assessment of students PEC holds exams for 5th class students. It was established in 2005 as a commanding body at elementary level. The students are advised to keep visiting here to see more about the exams of class 5th for 2019. We will provide you the result of these exams on this page.